Home / CELEBRITY NEWS / Bruce Willis in Bank Heist Film "Marauders"
Bruce Willis in Bank Heist Film "Marauders"
Iconic action star Bruce Willis of “Die Hard” franchise and Dave Bautista (“Guardians of the Galaxy”) star in the frenetic heist film “Marauders” about an untraceable group of elite bank robbers chased by a suicidal FBI Agent who uncovers a deeper purpose behind the robbery-homicides. 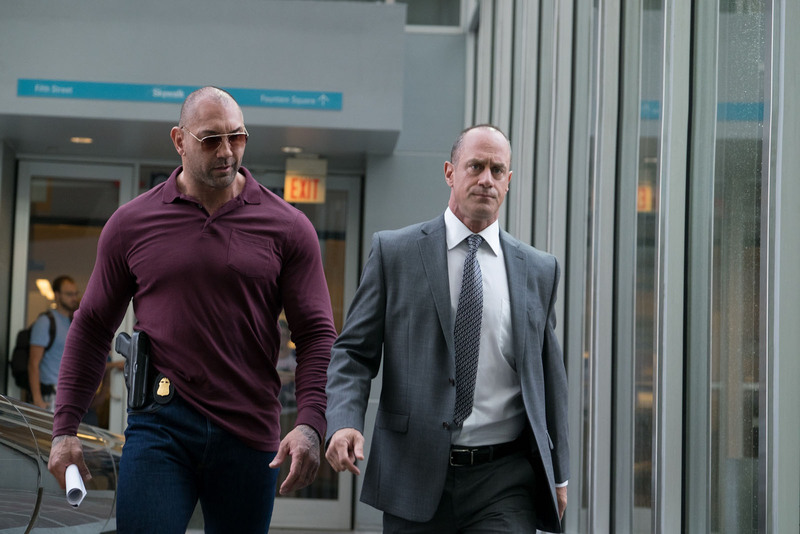 FBI Special Agent Jonathan Montgomery (Christopher Meloni) is on the trail of an untraceable group of elite bank robbers who give the stolen loot to charity. As he delves further into the investigation, the lawman discovers a deeper purpose behind the robbery-homicides and a trail of secrets protected by the bank’s owner (Bruce Willis). 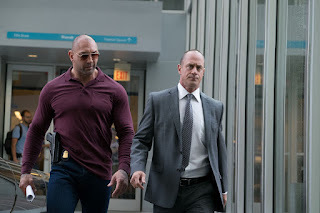 Featured alongside Meloni and Willis in the high octane, smoldering thriller are Dave Bautista, Adrian Grenier, Johnathon Schaech, and Lydia Hull. In “Marauders,” Willis is once again in the midst of a heist where everybody is a suspect. His role as a bank manager, Jeffrey Hubert, has just guided an aging woman to the Hubert National exit when a shotgun chambers and he’s blown through the inside glass door. Four Kevlar clad bank robbers: Tornado, Hurricane, Thunder, and Squall, rush inside and rough up security and customers. Thunder draws a pistol on a teller and activates a creepy order from his smart watch: open the draw, do not hit the alarm or your manager will die. Tornado staunches the manager’s wound and drags him toward the safe; a key-code is entered revealing three million in cash. While Squall bags the cash, Hurricane places a high-tech device on the floor and a cold audio repeats with crystal clarity over restrained sobs that any attempt to leave or call police will activate the sleek explosive. The well-honed team makes their exit, discretely concealing weapons. Eyeballing a security camera, Squall drags the manager toward the entrance, raises his shotgun, and blows off the man’s head. Job finished. 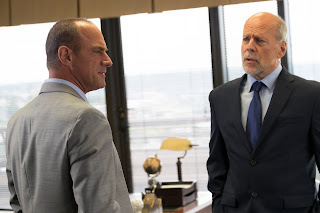 Bruce Willis portrays Jeffrey Hubert, president and owner of Hubert National Bank, and the target of repeated heists. An air of entitlement and authority, he goes ballistic when the local newspaper smells a scandal beyond simple robbery. “There’s a lot of power struggle and I think the power of money and control is one of the major themes. Hubert is trying to take from the rest of us. And of course there’s tension between the FBI and the on the ground cops, the detectives trying to take control of this investigation and who gets to make the decisions,” Grenier reveals. “Marauders” opens July 13 in cinemas from OctoArts Films International.